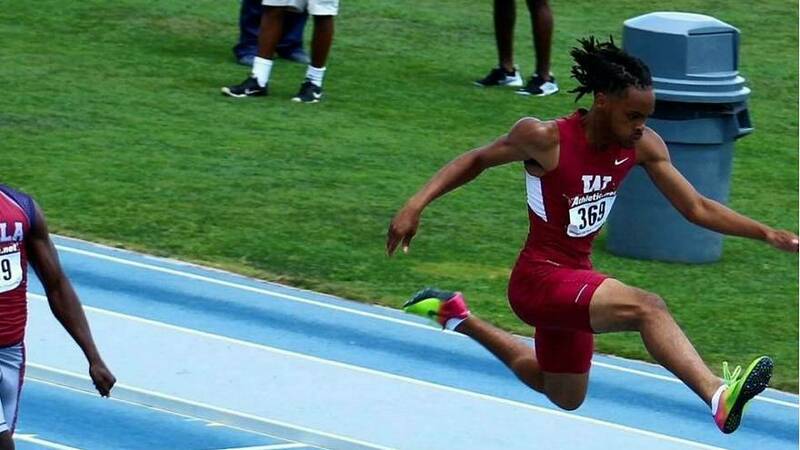 Tre Lawson, 17, was a track field athlete on his way to a promising career with several scholarships lined up to study at a university in the US because of his athletic prowess. But after a tragic accident two years ago that left him paralysed from the waist down all those dreams evaporated. Lawson suffered a spinal cord injury as well as brain and abdominal injuries. But last Sunday the track star garnered enough strength to get out of his wheelchair to walk around the track again. In an inspiring video that's gone viral, he appears walking around the running track with the help of a walker, with a caption that reads: "I've dreamed of the day when I would be finally strong enough to go around a track." Watch an interview with Tre in the player above.